The VAX AirTM Max Pet is our best performing, cyclonic cylinder with Direct Airpath Technology. 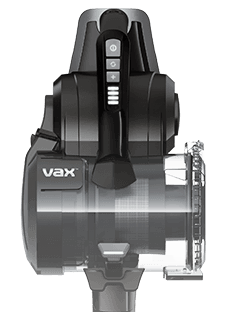 Payment Plan of 4 x monthly instalments of £30.00 applies to VAX Air Max Pet Cylinder Vacuum Cleaner only, additional items to be paid in full at checkout. Powerful, cyclonic cleaning performance on both carpets and hard floors around your whole home. The optimised air flow gives improved performance for strong and powerful pickup performance on all floor types. Our fastest and easiest solution for emptying the dust bin and for easy access to the filter to keep performance powerful. For a more comfortable cleaning experience. The suction power on this vacuum cleaner can be adjusted to suit the required floor type for a strong cleaning performance. The AirTM Max Pet is light weight so it's easy to carry up and down stairs. Its compact size also makes it easy to store in any home.